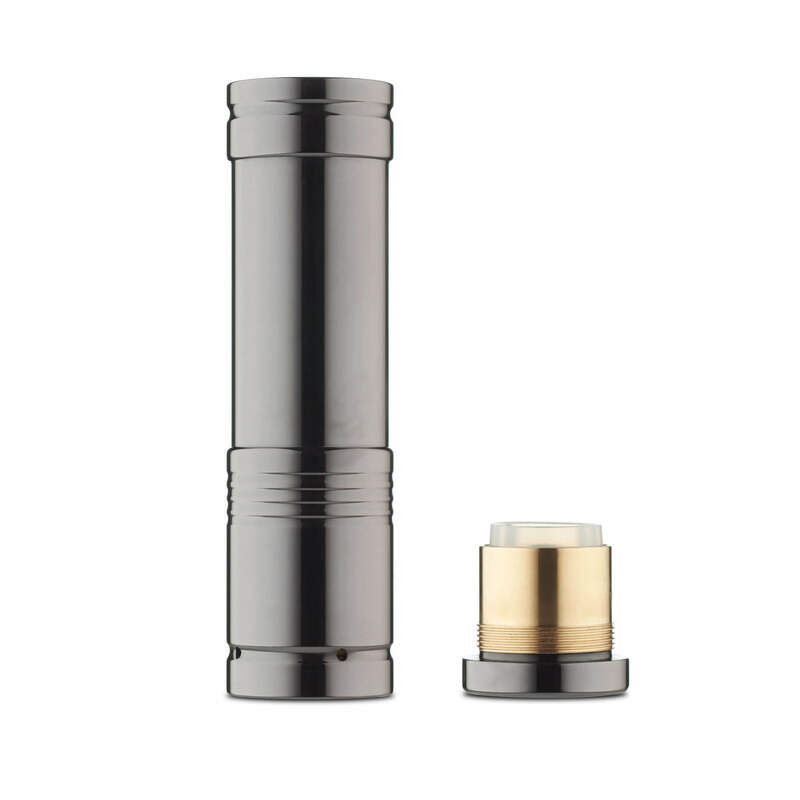 The Russian Mechanic V2 mechanical mod shows his power with the first pressing. 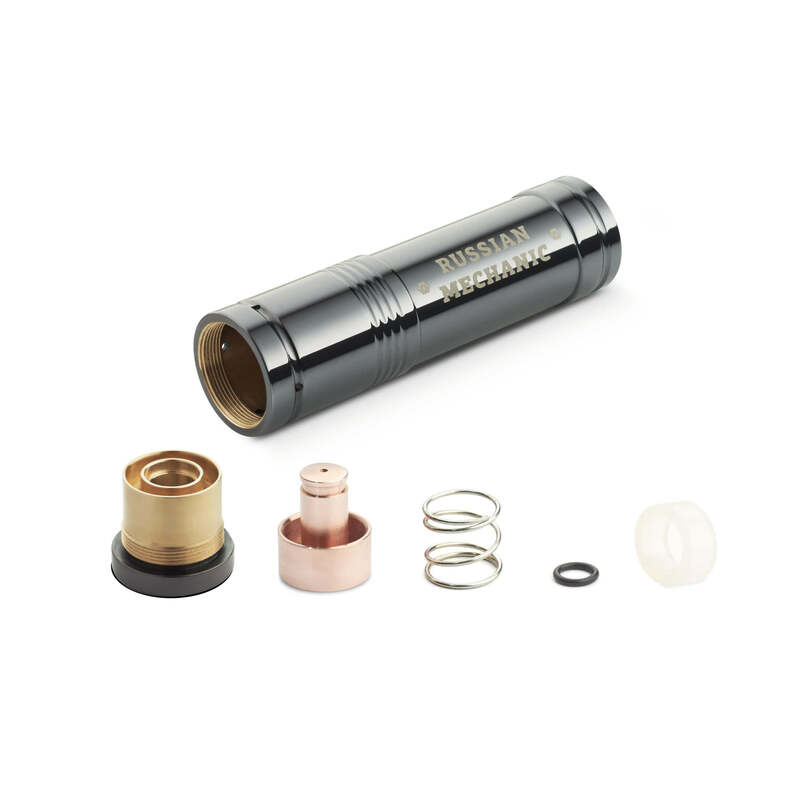 With the new version of mechanical mod, we have developed each small detail to perfection. All mechanisms are perfectly fitted and tolerance of details is minimal. 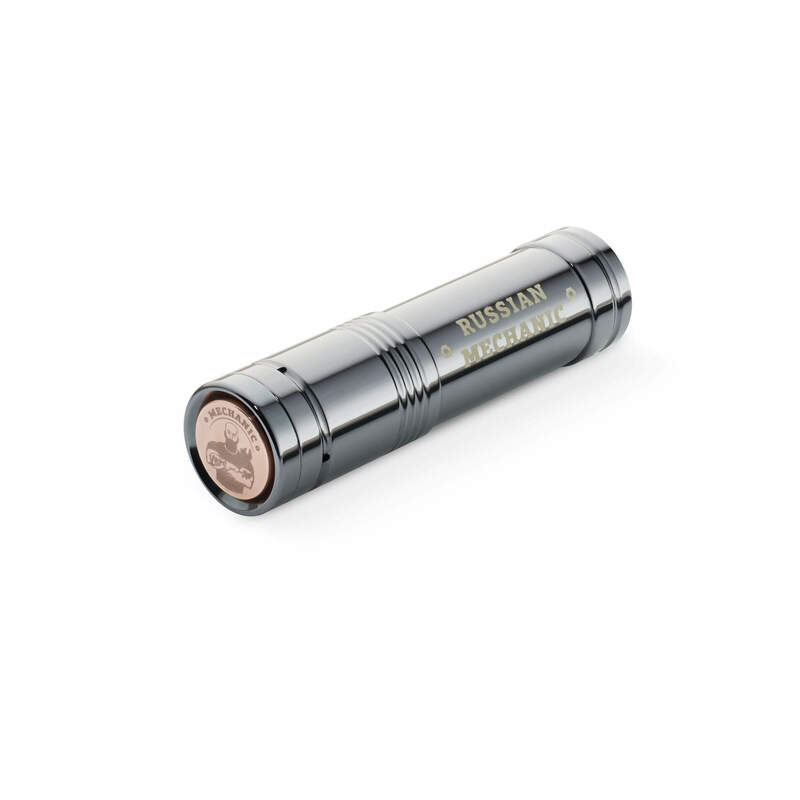 The new design of Russian Mechanic V2 mechanical mod is going to blow you away. The mechanical mod fits perfectly into your hand and looks great with every RDA as the new version is designed to fit 22 and 24 millimeters. Thanks to the ribbed body, the mod is very comfortable to hold. The button’s pressing has become smoother and softer because of ideal details’ adjustment. The pin has a constant contact with the button’s body. The new button’s pin is a single entity and is made of copper, it has conical shape with middle groove. This decision has increased productivity and reduced battery’s carbon formation. 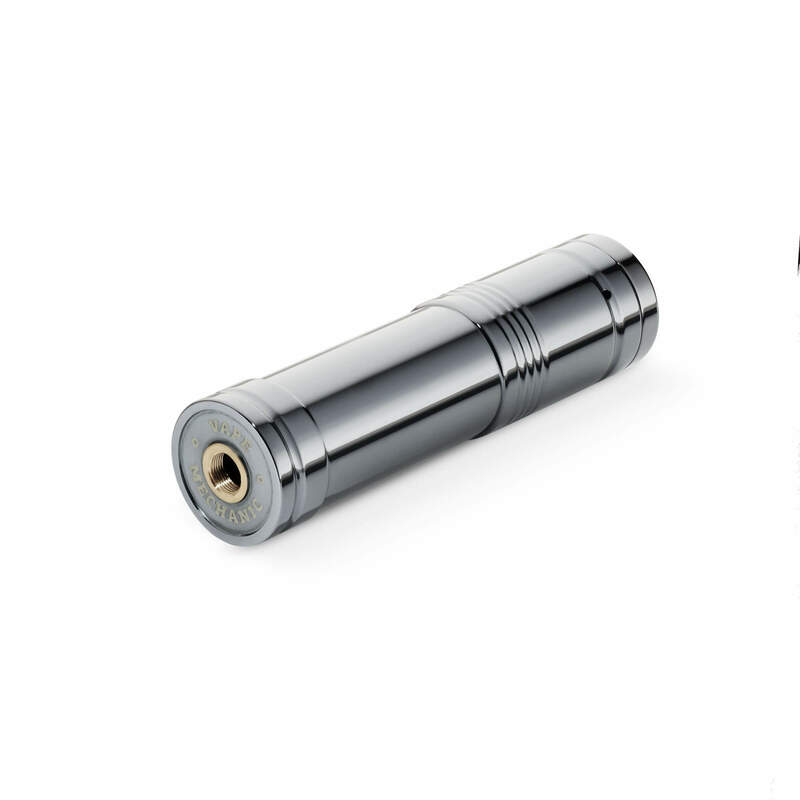 In this mod we also use silicon isolation that perfectly deals with battery fixation and negative cable’s exclusion. 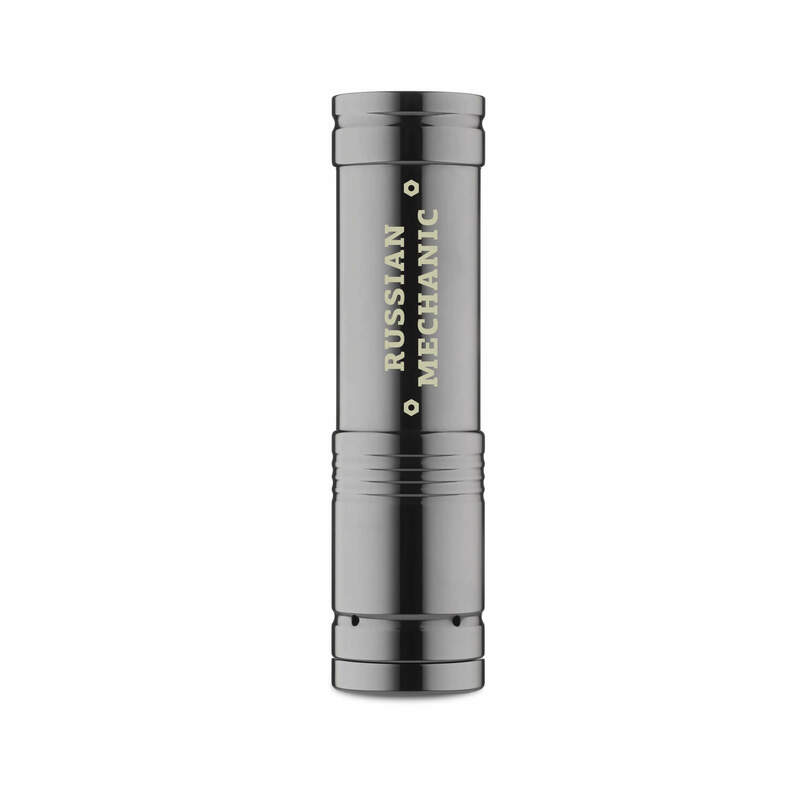 The Russian Mechanic V2 mechanical mod is solid and easy to maintain and to use.